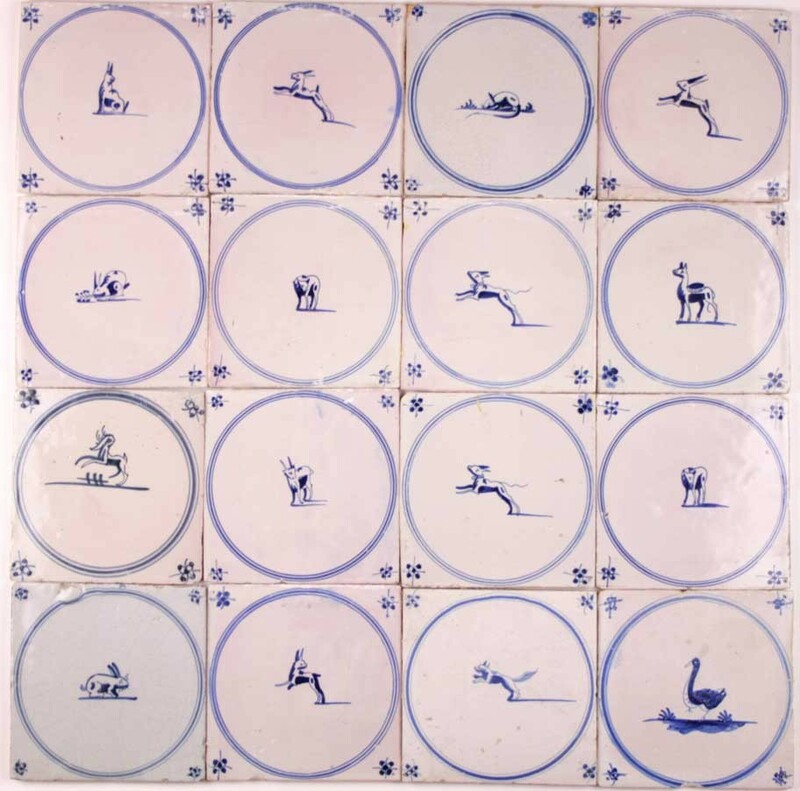 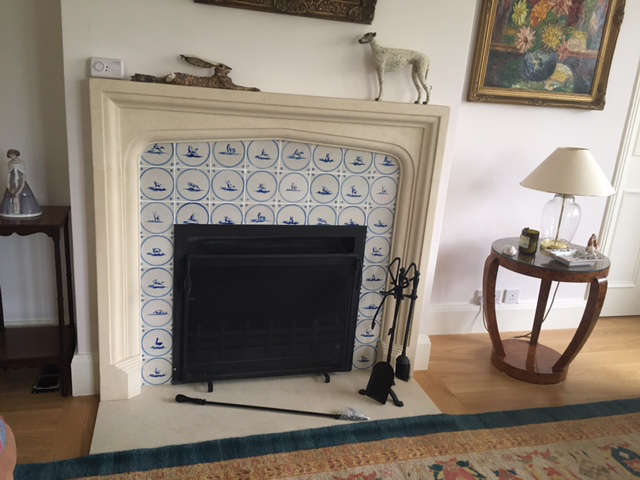 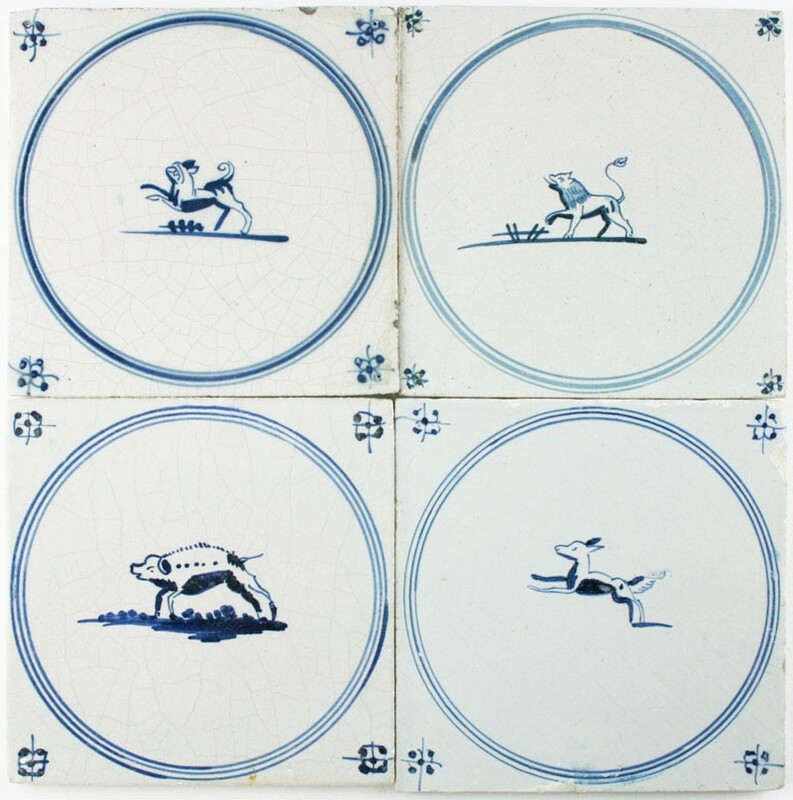 Wonderful antique Dutch Delft wall tiles depicting animals in a blue circle. 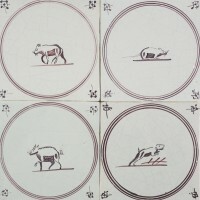 Many of the animals depicted look like they are about to jump, which gave these tiles their name 'Springers', that can be translated as 'Jumpers'. 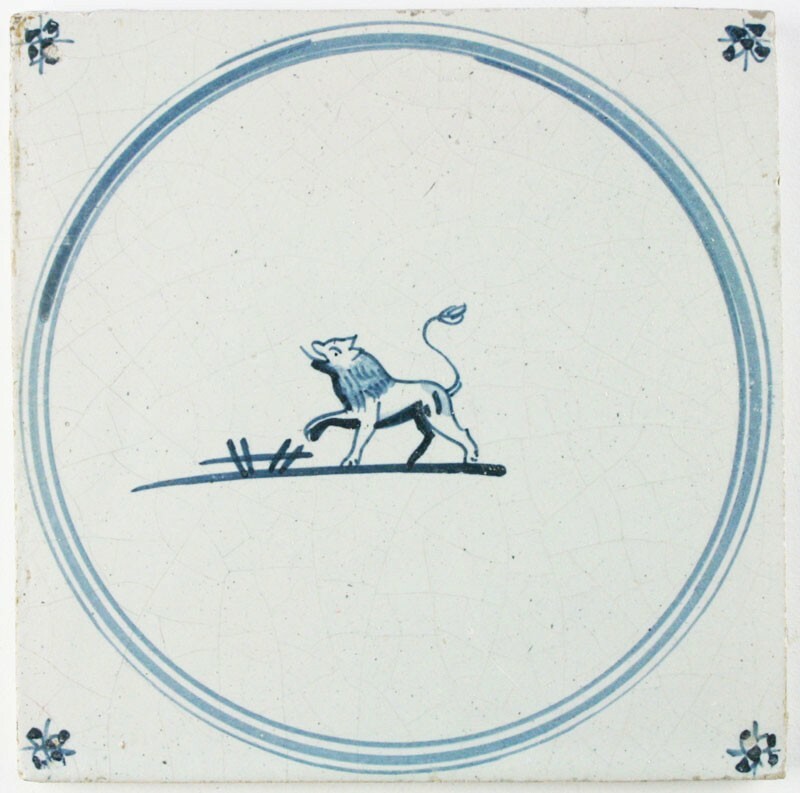 Made in the 18th and 19th century in many factories throughout the Netherlands. 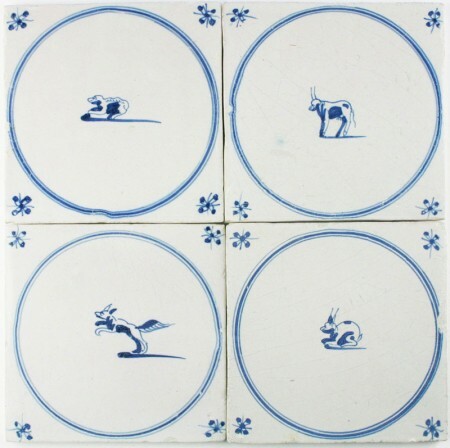 These wall tiles are ideal for any kind of home interior project such as a fireplace, kitchen, hallway or bathroom. 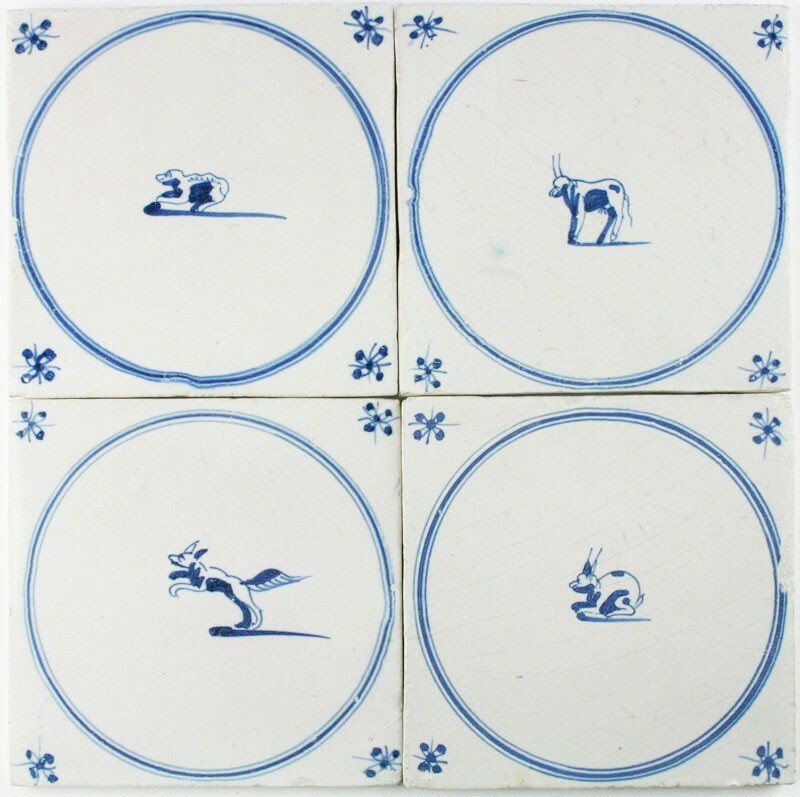 Springers are among the most desired Dutch Delft tiles because they bring the classic and simplistic look that Dutch tiles can bring. 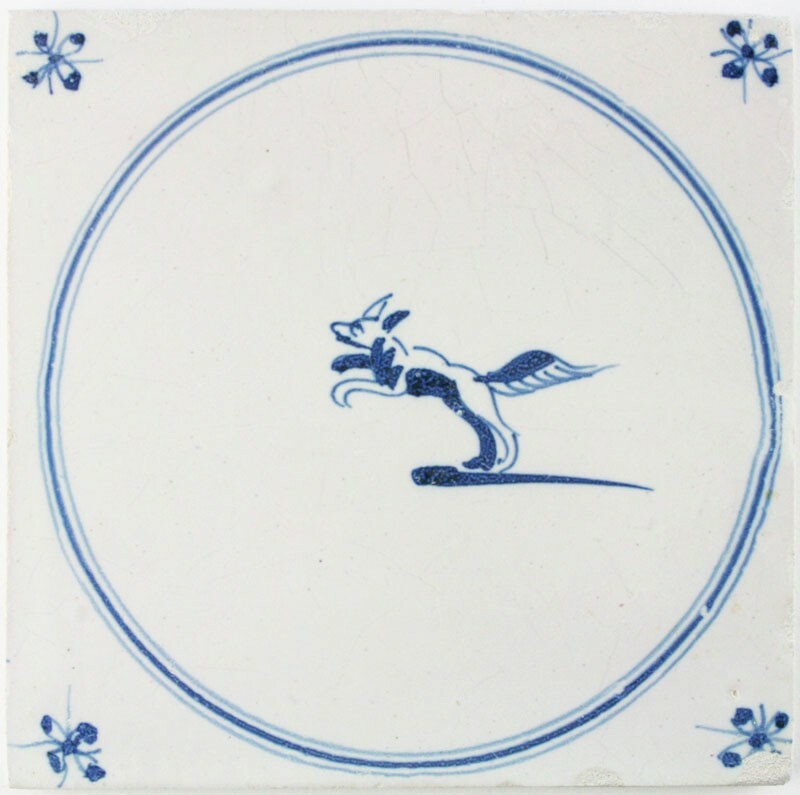 Next to that they can easily be combined with many of the other Dutch Delft wall tiles, such as plain white wall tiles.